Hillary Clinton didn't just have a private "email account." She owned a registered domain, (clintonemail.com) and served the domain from a local server, inside her residence, giving her 100% administrative control over email accounts, records, and traffic. This is quite a bit different from having a private "account" - such as a gmail, yahoo, or even an isp hosted account such as sbcglobal.net or a Time Warner Road Runner account. Email addresses have 2 basic parts, the name before the @; which is the account name - and the domain name following the @: which is the domain name. For example, one can reach this writer by emailing Ax@AxDWhiteMan.com. I own the domain, and have administrative rights to create and delete as many email addresses as I choose, whenever I choose. In Hillary's situation, there was not even a web host to limit her activity. The domain resolved directly to the physical equipment located in her residence. this has NEVER, EVER BEEN DONE BY ANYONE ELSE. With this system in place, Hillary can create as many email accounts as she chooses, send and delete email permanently, and conceal anything she pleases. Remember that the only permanent location of these emails are on the physical hard drive in the local computer. In the event she wanted to delete emails, or even the record of entire email addresses, she could simply delete them from the current drive; then back up the accounts and emails she wished to preserve, destroy the original disk drive, install a new clean drive, then restore the accounts from back up. The new drive will not even have a relic of the previously deleted emails and deleted email accounts. This fact renders the idea of investigating her server - meaningless. No person who intended to conceal evidence on a hard drive, would still have any such evidence there. And no person that didn't want the ability to conceal email information - would ever set up such a system. There seems to be a growing clamor for Hillary to "turn over the server." This is a mistake. It could only serve to create one more scandal that ends with "no evidence." The crime here was setting up the system - as it was set up - so that verification was impossible. It must be noted that every governmental office that communicated with Hillary at "clintonemail.com" is complicit in this crime. To pretend that investigating "the server" at this point, could yield any evidence of wrongdoing - is a fools game. If there are emails out there that implicate Hillary in any wrongdoing, they currently only exist on the recipients mail server. If one were serious in finding anything - that would be the direction of investigation. The larger point is, that Hillary Clinton conducted business as the Secretary of State of the United States of America - for four years; through an obviously rogue email system - and NOBODY did anything about it. Even now, it's likely that nobody ever will. FCC Net Neutrality Text - Why can't we see it? We've been presented with mountains of supposed expert discussion on what the FCC ruling will do, or mean, and how it will - or won't effect us. Yet, no one can claim to have even seen the text of what has passed. The rumored 300+ page document that will now exert authority over our internet; has yet to be released. Even more maddening than Nancy Pelosi's famous "You have to pass the bill to see what's in it" comment; is the FCC's stance of, "We've voted on new regulations, but you still can't see them." Until, one supposes, that one is found in violation; at which point fines and penalties will be assessed - and perhaps - if paid - one will be able to see what regulation was violated. But maybe not even then. Somehow this reminds me of TARP. Does anyone else remember the frantic days of the fall of 2008 when we waited on the brink of supposed economic collapse awaiting the passage of TARP? At the time I said should be called the Obi Wan Kanobi Act - Because supposedly TARP was our only hope . We were treated to hours of discussion and volumes of articles describing in detail the planned mechanics of a "reverse auction" mechanism where by "troubled assets" would be auctioned and banks liquidity would be repaired. Then we got to actually see the Legislation. I recall anxiously awaiting the download of it's text. I recall my surprise that there was in fact no "Auction" - just a $700 billion authorization for the Secretary of the Treasury to spend as he saw fit. Oddly I don't even remember any of the "experts" of the day even bothering to utter a "Never Mind." Thanks for all the commentary by the experts; but contrary to the contention of many, I'm completely capable of reading 300 pages and I'm confident that I understand both the law and technology enough to know what it says. ...and if I ever get to see it; I'll be happy to tell you what it means. Until then, I'll just wait to hear what I've violated. 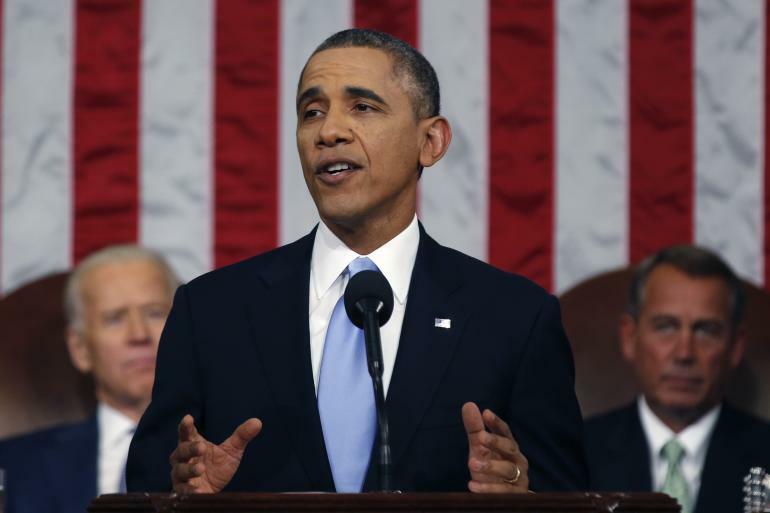 Why Obama is obsessed with "Middle Class"
During this weeks SOTU address, Barack Obama continued his bizarre obsession with the term "Middle Class." This is largely because he has no real understanding of the American "Middle Class." First, he doesn't realize that for all practical purposes - it means - everyone. People with incomes ranging from 30k to 200k almost always self identify as "middle class." Less than 2% of Americans make more than 200K a year; and if one considers the value of Government Assistance, less than 5% earn less than 30K. While the 200k earner with a Lexus and a 4k/month house payment lives more lavishly than the 30k single mom with a small apartment and a used F-150; they're both likely to be at the same store, restaurant, or movie - and when asked - both consider themselves "middle class." Most importantly though - Obama doesn't know why we have a middle class. It's not due to minimum wage laws, or fair housing laws, or any other intrusive government policy. It's because we also have an "Entrepreneur Class" competing for general labor skills. This is largely that 1% that is so demonized by the administration. The only way for businesses to earn greater profits is to grow and hire people. The only way to be better than the competition is to employ better and more capable people. The only way to do that is to match or beat the compensation of ones competition. Often general labor skills are transferable. For example, here in Texas; construction workers have seen an increase in wages as more and more are drawn into the oil fields. This competition for employees occurs in every field. When large revenues are generated by Google and Apple, they seek the best accountants and investment analysts that might previously have been at GM or Exxon. In short, the existence of a strong middle class REQUIRES a strong and vibrant entrepreneurial class. Perhaps most importantly, the ability for new entrepreneurs to form and start new businesses has been crushed by the policies of this administration. It is often the bright eyed new start up that can most effectively attract the seasoned business veteran to peel away from his "safe job" for a chance to get in "on the ground floor." The U.S. is no longer a great place to start a business. From Dodd/Frank to Obamacare and every unpredictable assertion of governmental regulation in between. American businesses now crouch in a pure reactionary position waiting to respond to the next government mandate. Or, they are lobbying some idiot in Congress to mandate their new (probably green) innovation into the market - because they know it wouldn't generate any interest otherwise. Quite predictably, this year more business failed in the U.S. than were started. This has never before happened in my life time. In other words, competition for general labor decreased, as businesses exited the market. As more businesses fail, the remaining few will have less competition for wages - and real income for the "middle class" will continue to fall. So, thanks Barack Obama - you've made life tough enough on the 1% - so that they can let you take care of the other 99%. Goodbye job - Hello foodstamps, medicade, and section 8 housing - Happy Days are Here Again! 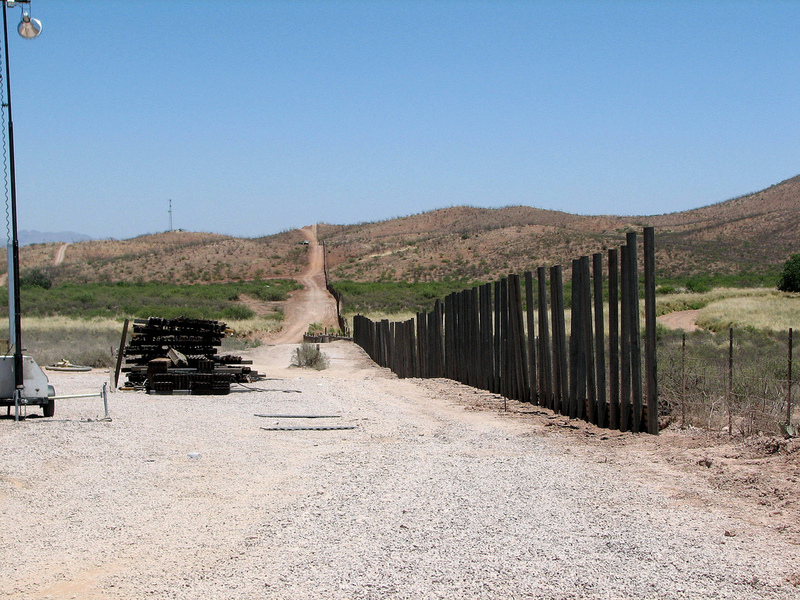 The Fallacy of "Securing the Border"
The increasingly common refrain from conservatives to "Secure the Border," is troubling. Troubling, not because it is a bad idea; but troubling because of what the common meaning of this phrase has become. This phrase is commonly uttered as a required precedent for granting amnesty for those that have illegally crossed this "insecure" border. The implications is, that if we create a means by which to prevent illegal entry in the future, it will be fine to grant amnesty to those who've illegally crossed in the past. The troubling aspect is that a "Secure Border" and "Amnesty" are mutually exclusive events. The border is not physically "securable," from illegal crossing. Even if it was, almost half of the current "illegal" residents are here as the result of overstaying a "legal" entry visa. The currently applied definition of a "secure border" does not address the need for "internal enforcement" of immigration law. Conversely, we seem to have given up the battle for internal enforcement in exchange for ranting about "secure the border," when in fact, their can be no meaningful border security without a corresponding measure of internal enforcement. On occasion, we will hear cries for "crack downs" on those employing illegals - but that is the limit of the acceptable discussion of internal enforcement. A. We will commit all available resources to prevent you from entering our country. B. If you DO make it in, we won't oppose; sanctuary, immunity from deportation, and eventual citizenship. The point here is, that as long as the attraction of B exists, the policy position of A is futile. In other words, as long as virtually every major city council in the country has proudly declared itself a "Sanctuary City," Federal Authorities declare deportations to be "off limits" for larger and larger defined groups, and Congress constantly flirts with granting citizenship to illegals; it's pointless to discuss "Securing the Border" while we are effectively declaring it meaningless. Sadly, chants of "Secure the Border" have become the fund raising talking point for a party that is unwilling and unprepared to make the case for internal enforcement of immigration law; without which a "Secure Border" is impossible.